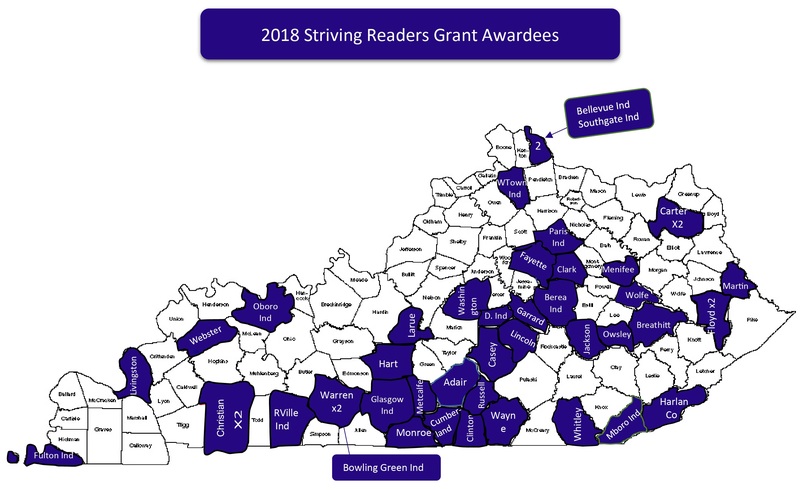 CTL is a partner with the Kentucky Department of Education for this Federal Striving Readers Grant (KYCL:FLUENT). The project supports literacy from birth through grade twelve in 45 high-poverty feeder patterns across the state. CTL has dual roles in this project as part of the implementation team as a vendor working with two of our tested models (Adolescent Literacy and Artful Reading) and as part of the fidelity of implementation team. CTL’s unique capacity to work across the state and service schools and school districts provided us the opportunity to support the Kentucky Department of Education in their efforts to bring greater literacy to more students.